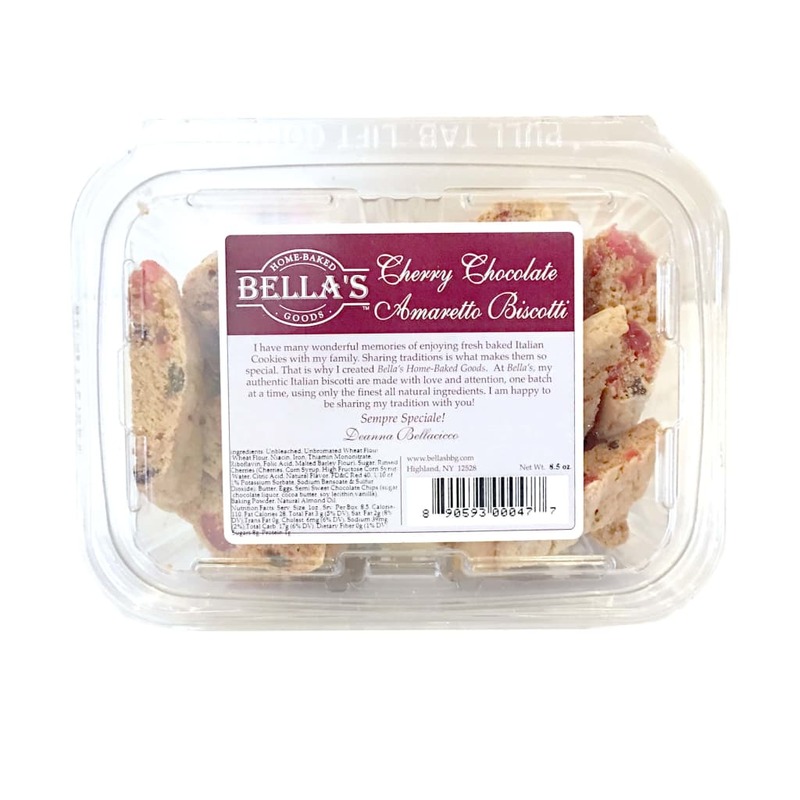 Enjoy sweet, chewy, whole glazed cherries combined with real semi-sweet chocolate and finished off with a touch of almond oil in Bella’s Cherry Chocolate Amaretto Biscotti. 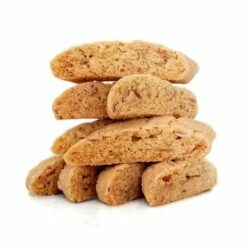 The classic combination of chocolate, cherry, and almond flavors is sure to delight any biscotti fan! 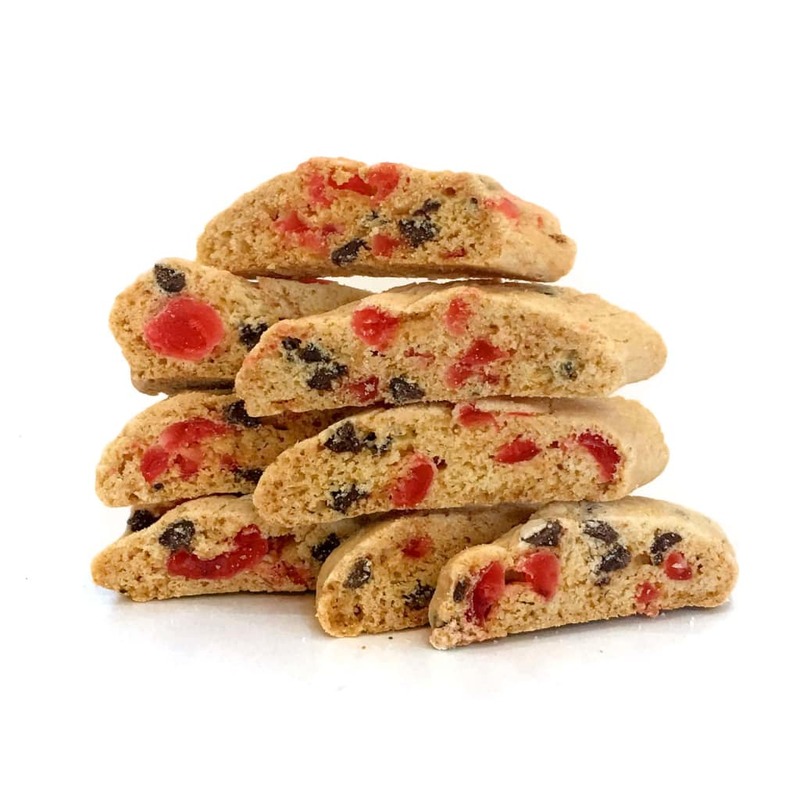 Ingredients: Unbleached, Unbromated Wheat Flour (Wheat Flour, Niacin, Iron, Thiamin Mononitrate, Riboflavin, Folic Acid, Malted Barley Flour), Sugar, Unsalted Butter (Cream, Natural Flavorings), Rinsed Glazed Cherries (Cherries, corn syrup, high fructose corn syrup, water, citric acid, natural and artificial flavor, FD&C red 40. 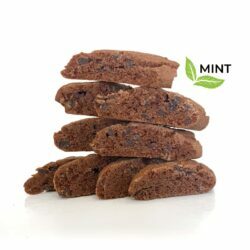 Preserved with 1/10 of 1% Potassium Sorbate, Sodium Benzoate and Sulfur Dioxide), Semi-Sweet Chocolate Chips (Sugar, Chocolate Liquor, Cocoa Butter, Soy Lecithin, Vanilla), Eggs, Baking Powder, Almond Oil, Salt. Nutrition Facts: Serv. Size: 1oz., Calories 110, Fat Calories 30, Total Fat 3g (5% DV), Sat. Fat 2g (8% DV), Trans Fat 0g, Cholest. 17mg (2% DV), Sodium 39mg (2% DV), Total Carb. 17g (6% DV), Dietary Fiber 0g (1% DV), Sugars 8g, Protein 1g. OMG. 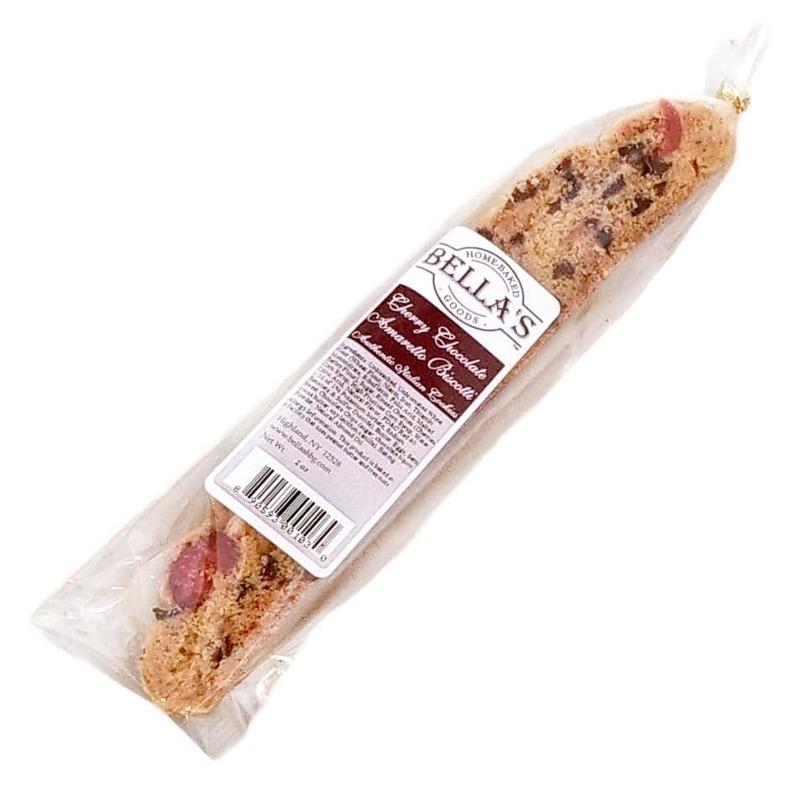 My friend gave me a box of this for Christmas…the BEST biscotti ever!!! I am now an addict. 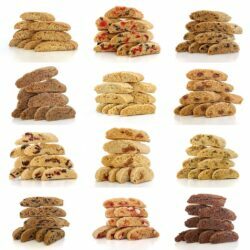 So now I joined WeightWatchers to lose 10lbs…last night I checked points…oly 3 per oz (2 cookies). I’ll take 3 cases!